Whether or not you use Soft Paws® on your cat or dog routinely at home, there is one special situation in which you might decide to use them: while traveling with your pet. There are several ways in which the use of Soft Paws® may benefit you and your pets while you are away from home. Cats and dogs may be more prone to scratching carpeting or other items when they are not in their own space. Pets may do this because they feel stressed out or because they are trying to mark new territory. Your pet may do this even if they never scratch carpeting or belongings at home. Having Soft Paws® in place over your pet's claws can decrease the chance that you will need to pay for damages done to a hotel room. Sometimes dogs and cats that are feeling anxiety may try to get away from you and in the process, deliver painful scratches. If your pet is wearing Soft Paws®, it's less likely that you are someone else will be injured if this happens. 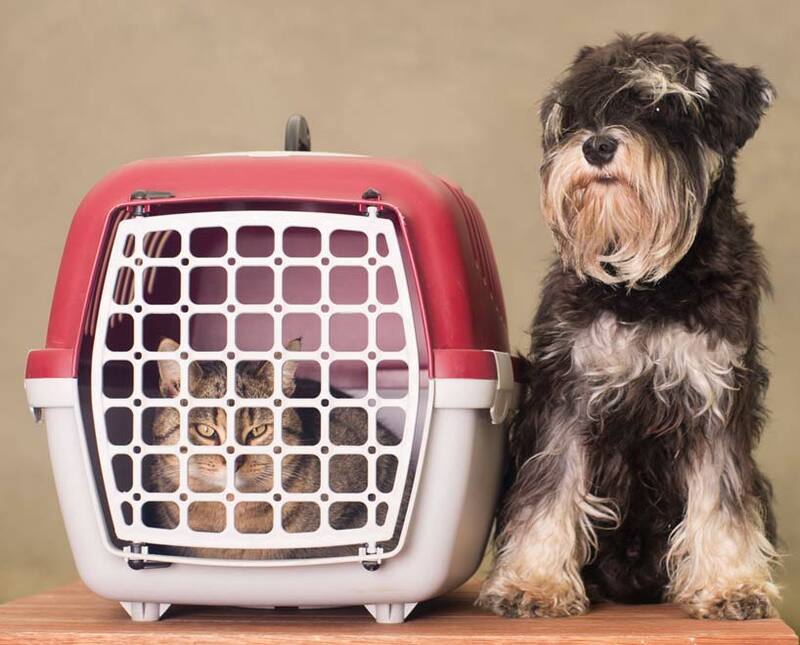 Always be sure that you are in a contained space before opening your cat's carrier or releasing your dog's leash while traveling. Pets may bolt and run away when frightened. Having Soft Paws® on your pet when you are visiting friends or family can decrease the chances of damage being done to your host's property. If those with whom you are staying also have pets, equipping all of them with Soft Paws® can decrease the chances of injury to any of the animals during their initial meetings. However, Soft Paws® should never be relied upon as the sole means of protecting pets from one another. Proper supervision must be provided, and pets unfamiliar with each other should be kept separate when no one is available to watch them. When you arrive at your destination, whether it's a vacation space or a temporary or permanent rental home, your pet may again react to stress or territorialism by scratching at carpeting or other items. Since it is likely that you will be held financially responsible for these types of damages, having Soft Paws® in place on your pet's nails before you arrive at the new spot can ease everyone's stress. It's a good idea to get your pet used to wearing Soft Paws® well in advance of your travel date. That way, she won't be paying any attention to her nail caps during the trip, and they can do their job. It may be a good idea to place a set of Soft Paws® on your pet about four to six weeks prior to your trip. This will allow her to become adjusted to the Soft Paws® through an entire set, and you can place a brand-new set of the nail caps on right before traveling.